Hi there. I am a relatively new AVSim user. I am in the middle of a flight using JoinFS and I noticed an "AVSIM Saturday Flight" hub there. That got me to thinking: is there a subforum here for people and groups to post community flights hosted by AVSim and its users? We currently have no community flights as that is usually done on VATSIM. Members of AVSIM can get together and set up community flights on VATSIM. In memoriam of the late owner, a member of AVSIM coordinated the participation of many members to fly over his home airport in Charlottesville. I thought it was difficult to get members coordinated to perform a community flight for such an event as many members are simply not familiar with it. See the In Memoriam forum for Tom on AVSIM for details of these flights. If community flights were set up, they should be done in Hangar Chat. Jim's technically correct, however AVSIM does have a Multiplayer/Shared Cockpit forum right here at AVSIM and people have used it to connect up for flights. There are a few things in the works within the community that people should start seeing this year (I'm doing one of them), but too soon for notices on that. Tell you what, if you'll subscribe (follow) the Multiplayer/Shared Cockpit forum, I'll promise to post a notification there when I'm able. Thank you both Jim and Dave. I overlooked the multiplayer/shared subforum in the MS FS category (the logos for the MS flight simulators distracted me LOL). I don't see anything for JoinFS using the AVSim name so I guess it was just run by a fan who didn't post here. It was pretty open, and still going on as far as I know. I would shoot a private message to one of the lads who posted about it, then can update you. I wish we were three months or so later in the year, I'd be able to direct you to the project I'm working - and it would fill all you're needs! That's just an unfair teaser, as I really can't say anything more about it. The AVSIM Saturday flights on JoinFS are listed in the "AVSIM's Round the World Race Forum." I fly with that group, and it's a bunch of fun guys that fly together all over the world. We have some creative planners that put together some very interesting flights, and on many occasions, one or more of the group provides relevant commentary about the area we are flying. If you check out some of the threads in that forum, you can see that a flight plan link is posted, along with JoinFS and Teamspeak info. 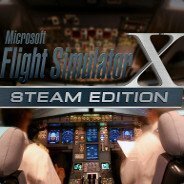 We welcome new pilots, so drop by and join us. If you need more info. just PM me here and we'll get you what you need.